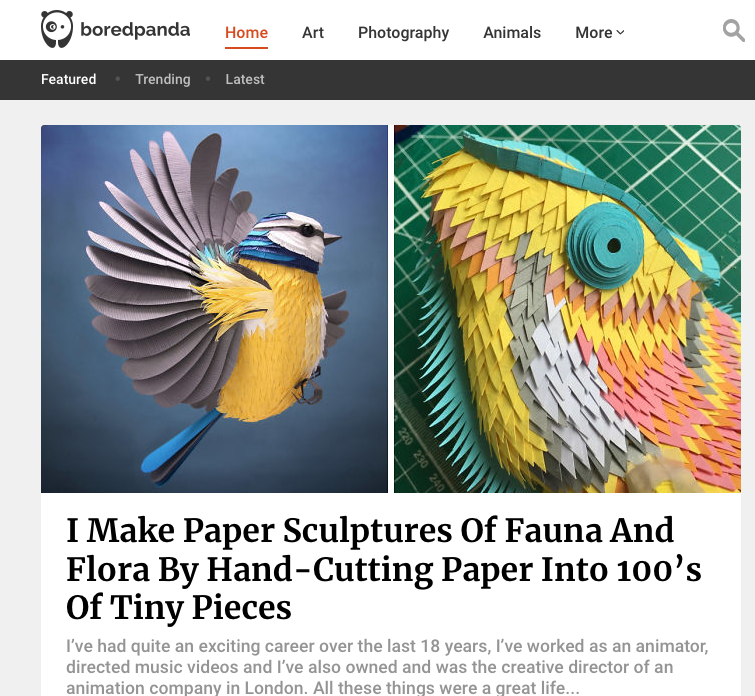 I was so excited when the guys at Bored Panda suggested that I write a little article about my self for their feed. It was incredible to chat to lots of people who enjoy paper craft and hear their stories. It was a lovely experience!